First of all, I have become more aware of major shortcomings in how we, as a medical system, provide patient care. Secondly, I am concerned about the direction in which the system is headed. Each day I meet more and more patients interested in pursuing more natural or alternative therapies. Not only do most physicians have a knowledge deficit in this area, they are not allotted the time to discuss with patients options outside of what the cheapest and preferred pharmaceutical option is on that particular day. Finally, I have become more and more frustrated by the assault on the physician-patient relationship with practice sizes getting larger and time with each patient shrinking away. To me, the physician-patient relationship is not only a privilege but a partnership. The only way to protect the quality of care I believe in was to start my own independent practice. My current special interests include comprehensive hormonal evaluation including but not limited to bio-identical hormones, physician directed weight loss, nutrition and complimentary therapies including herbal remedies. I also have advanced training in aesthetics including Botox, dermal fillers Juvederm and Radiesse, sclerotherapy and chemical peels. Hormone imbalance can affect many areas of a person’s health. Between the media and their health care providers, women today are faced with overwhelming and often conflicting information in regard to hormones. I believe women need to be able to make an informed decision regarding what is right for their bodies during difficult times of dramatic hormonal fluctuation. The solution is not the same for everyone. Patients need a physician to help them dissect the data and choose what is best for them. I do a combination of blood spot and saliva testing and endorse bio-identical hormones as a preferred management option. I diagnose and manage a multitude of rarely recognized or difficult to manage conditions such as thyroid dysfunction, adrenal fatigue, irritable bowel syndrome, andropause (male mid-life), and female sexual dysfunction. Each patient has the right to be involved in his or her care plan. Overall health is multifaceted and involves fitness of the mind and body, which is influenced by numerous factors including nutrition, environment and genetics. Understanding and committing to practicing medicine according to these principles takes time. In order to guarantee my patients this time I opened my private practice. I endorse complimentary therapies including herbal remedies and nutrition as well as more standard medical therapies. I use evidence-based practice. I respect my patient’s rights to be educated about the options and choices of what is best for them. Call Kimberly Haycraft, M.D. at 800-775-4902 Ext. 151 to learn more about how her bioidentical hormone treatments can help you! Why should I consider Bioidentical Hormones? 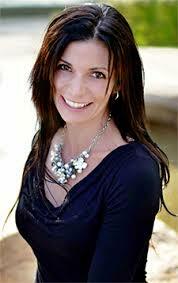 Call Minneapolis Bioidentical Doctor Kimberly Haycraft, M.D. at 800-775-4902 Ext. 151 to schedule a bioidentical hormone consultation! Learn more about Dr. Haycraft's training, experience, and approach to wellness. Bioidentical hormones can provide life-changing benefits for both women and men. Call today to schedule your bioidentical hormone therapy consultation. © 2009-2019 Minneapolis Bioidentical Doctor. All Rights Reserved.